Content: The work reveals 3 long-duration cuts, which have been progressively built up. 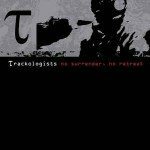 The compositions clearly reveal a patient progression, which clearly sounds inspired by dark-ambient music. The sound is made of cellar-like atmospheres and an impressive arsenal of field recordings where you’ll recognize some animals. 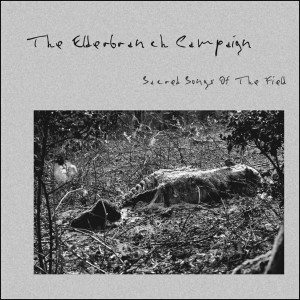 “Secret Songs Of The Field” sounds like an exploration of a mysterious sonic universe, which progressively enters chilling parts reinforced by enigmatic choirs. It sometimes sounds pretty astral-like, but always supported by an obscure invisible presence. One of the most surprising elements is the guitar playing, which emerges at the surface of the 3rd and, which is totally unexpected. There’s a lot to experience on this work, which makes it pretty fascinating. + + + : This is a rather versatile dark-ambient release mixing familiar elements of the genre with some extra experimental passages. I especially like the progression of the work and especially from the opening cut “The Lamentations Of Sheep”. – – – : There’s nothing to throw away, but the 2nd cut sounds shorter and a bit unaccomplished. Conclusion: Sheeps, pigs and dogs have been the muses to this surprising and somewhat conceptual release, which is characterized by a real strong dark-ambient feeling. Best songs: “The Lamentations Of Sheep”.